White label promo copy. D. J. COPY / NOT FOR SALE at right of label below publishing credit and timing. 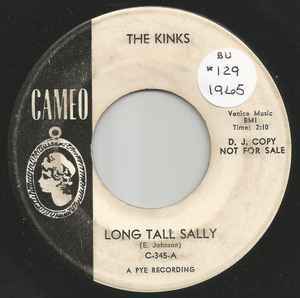 No copyright 1960 CAMEO Records at bottom of label, as is found on the stock copy. This single (Cameo C-345) was issued one year earlier with a lower catalog number (C-308). 'Davies' is misspelled as 'Davis' on the B-side writer's credit.